Lithonia Lighting RT Series Collection Volumetric LED luminaire in polyester powder paint finish, features cold-rolled steel construction. It has one 30.45-Watt 82 CRI 4000K LED lamp to offer 3000-Lumens light output. Lamp has voltage rating of 120 - 277 Volt. Lamp has average life of 60000 hours. 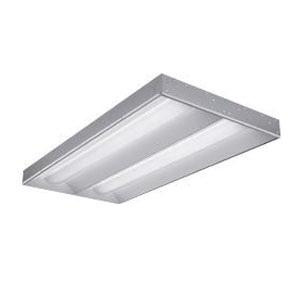 Luminaire with 0 - 10-Volt dimming driver, is recessed ceiling mountable. It measures 48-Inch x 24-Inch x 3-1/8-Inch. Volumetric LED luminaire is CSA certified and IC rated.